Geordies got a welcome respite from Newcastle United's woeful form over the weekend as the latest WPT National event arrived in the north east. In the end it was Kevin Simpson who was talk of the Toon after topping a 390-runner field at Aspers Casino. Simpson worked his way through an impressive field that included the likes of WSOP bracelet winner Surinder Sunar, former Irish Open winner Ian Simpson and former England footballer Rob Lee to walk away with a first prize of £24,000. Despite starting the final table with the short stack, Simpson safely navigated his way through to a heads up clash with Stephen 'Chicken' Fung. A five to one chip lead proved unassailable with Simpson sealing his biggest live score to date when his pocket queens held against Fung's pocket sixes. 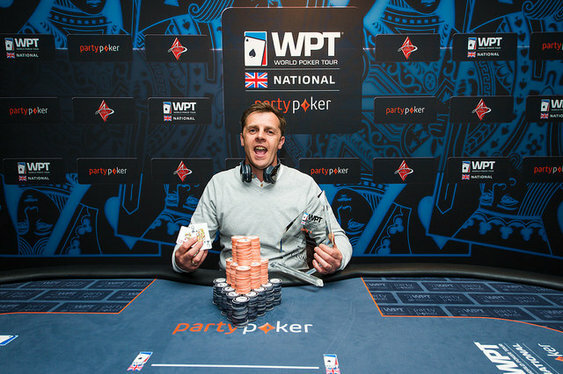 The WPT National Series heads to London later this year. Qualifiers will be up and running at PartyPoker.